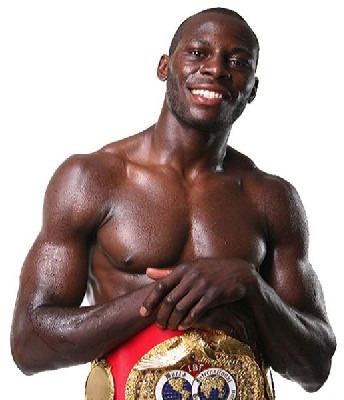 This Saturday from Germany, IBF cruiserweight champion Steve Cunningham 24-2 (12 KO) will defend his IBF title against Yoan Pablo Hernandez 24-1 (13 KO). Cunningham is making the second defense of his title in his second reign as IBF champion. A Philadelphia native, Cunningham lost in his first title opportunity to Krzysztof Wlodarczyk back in 2007 but then avenged that defeat and won the IBF title in an immediate rematch. Cunningham made one successful defense against Marco Huck but then ran into the iron chinned Tomasz Adamek. Cunningham and Adamek engaged in an exciting slug fest where Cunningham tried to box, but the power of Adamek put Cunningham on the canvas three times giving Adamek, the edge and the unanimous decision victory. Cunningham rebounded with a victory over Wayne Braithwaite and then regained his IBF title with a fifth round TKO over former Contender show champion Troy Ross in a controversial stoppage. Cunningham opened a cut on Ross that was ruled from a punch but may have been from a thumb to the eye. Cunningham successfully defended his title against Enad Licina earlier this year. The southpaw challenger, Hernandez also has a win over Licina. Hernandez is from Cuba and in his last fight he won an interim WBA title with a win over Steve Herelius. Hernandez’s one setback came against Braithwaite back in 2008. The card has two more fights of note. Sebastian Sylvester 34-4-1 (16 KO) takes on Grzegorz Proksa 25-0 (18 KO) for the vacant European middleweight title. Sylvester won the IBF middle weight title against Giovanni Lorenzo with a split decision victory back in 2009. Sylvester then successfully defended the title with wins over Billy Lyell, Roman Karmazin, and Mahir Oral. In his last fight, Sylvester lost the title in a split decision loss to Daniel Geale. Sylvester looks to get back on track taking on the undefeated but untested Proska. Also in action is Karo Murat 24-1 (14 KO) vs. Gabriel Campillo 21-3 (8 KO) in a rematch of their 2008 fight where Murat won a split decision victory. Campillo previously won the WBA light heavyweight title in a decision victory over Beibut Shumenov but then lost the title in an immediate rematch to Shumenov in a highly controversial decision. Campillo has won two straight since the loss to Shumenov. The Iraqi born Murat who lives in Germany has the win over Campillo and in his one other bout of note he was knocked out by Nathan Cleverly in 2010. Murat has won two straight since the loss to Cleverly. At this time no TV coverage is scheduled for the event in the US.